The École de musique of the Université de Sherbrooke has gotten a makeover to celebrate its 25th anniversary. Thanks to an investment of more than $9.5 million, the facilities have been completely redesigned to adapt to the 21st century. To meet the needs of new programs, the building’s interior was rebuilt. 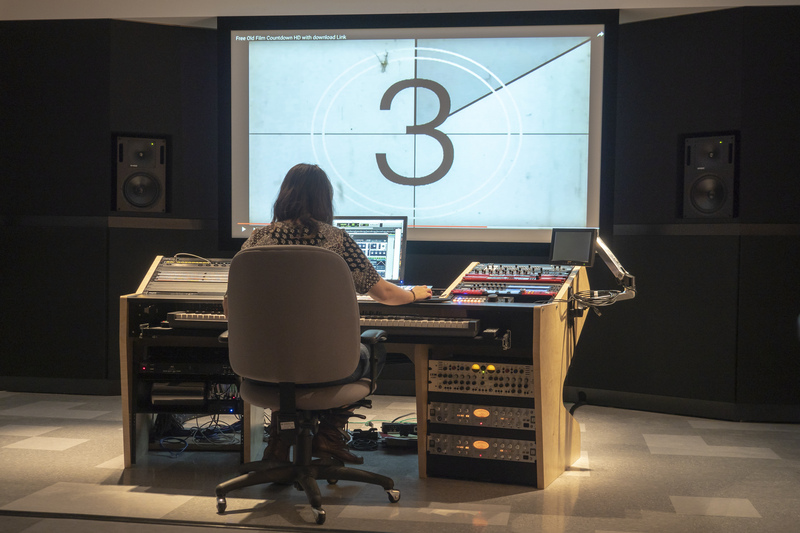 “Synergy, flexibility, high-quality audio digital equipment, one-of-a-kind teaching and music production facilities in a university context – these were the main goals,” said École director André Cayer. The aim is to become a leader in film score, video game, and advertising production training and offer the only bachelor’s degree in music and image in Quebec. Facility interconnections now make it possible to work directly with the industry. Consequently, students have become project participants through direct training in a high-quality professional environment. “The new facilities enable multiple international projects in this field and offer intensive collaboration with leading stakeholders in the audio and picture industry,” Cayer added. Performance-degree students will not be neglected, as the new facilities connect academic learning with hands-on training. Each space is designed as a laboratory to encourage students to develop their greatest potential. These spaces include rehearsal rooms with modular acoustics and state-of-the-art technology (e.g., grand pianos, amplifiers, and sound and quality recording systems), rooms to seat an orchestra of 100 musicians in front of a screen, and smaller boards for chamber ensembles or pop and jazz groups. “Each performance student is assessed and monitored by occupational therapists to identify and prevent injuries related to instrumental practice, thereby helping them to improve their habits,” Mr. Cayer added. “All students have access to mental preparation courses, too.” To validate the students’ overall knowledge, exams have been redesigned to simulate real-life situations in today’s professional music scene. Finally, the construction project nearly doubled rehearsal rooms that are now available 24 hours a day, seven days a week. An online reservation system has been implemented; facilities are accessible through a swipe card system to guarantee greater safety for students. To promote sustainable development, the École de musique has geothermal wells to supply its heating system. The excess is injected into the Université de Sherbrooke campus network, reducing greenhouse gases by 250 tons.